Typical basements don’t get much light. They are dark rooms with barely any windows, if any at all. They usually have low ceiling which make a room look even smaller than it is. A deck might hang over the only basement window you have which hinders you from getting any natural light. Does this sound like your basement? If so, we need to brighten it up with some beautiful light colors to make this room feel bigger, or paint it with some bold colors people wouldn’t expect! 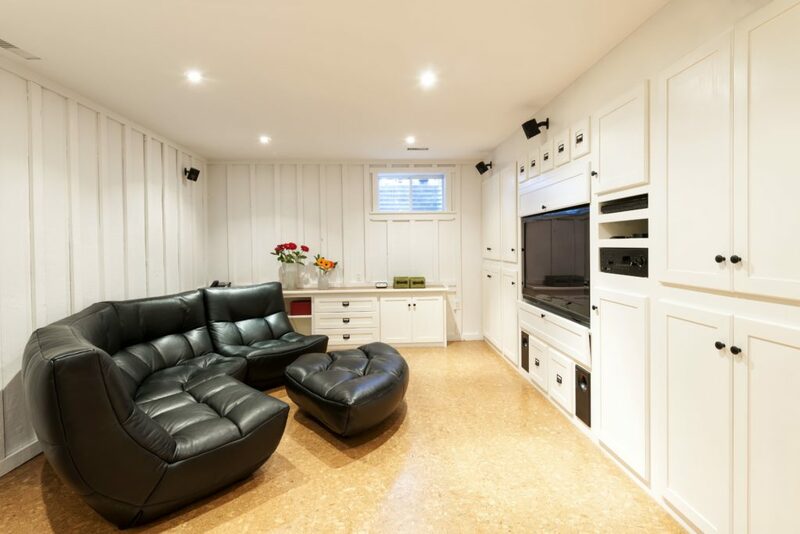 In this article, I will share with you the best colors to paint your basement. Let’s make your basement the place to be and hang out. This will be a place where everyone feels comfortable. One way to go painting a small dark room is to give it a blast of fun color! Give this room some personality with fun colors that people will be drawn to. A dark to medium blue, red, yellow, or coral are colors to give some thought. 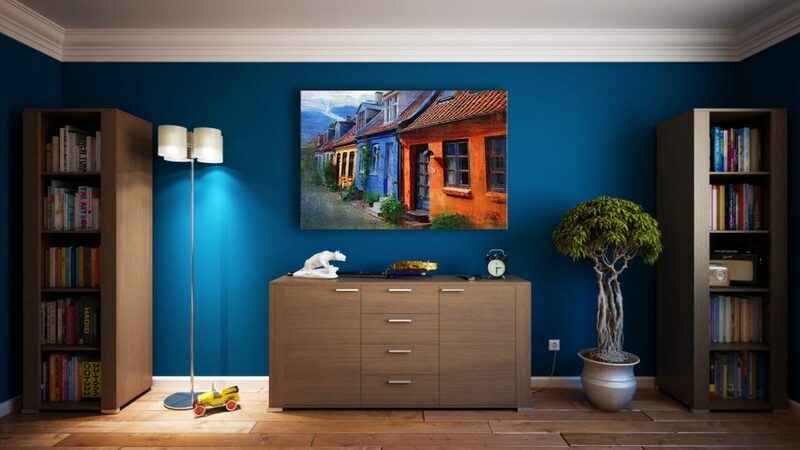 They are great colors that will get your attention instead of looking at how dark and dingy the room is. If you choose to go this route, I would suggest keeping everything else light such as the furniture, floors, and décor. Also, with colorful rooms of personality, make sure you have a lot of artificial lighting to keep it bright. Maybe painting all the walls this pop of color is a little much for you. But you still want a little bit of these colors in your basement. That’s okay! I have the perfect solution. Paint the walls these “in your face” colors but also add tall white wainscoting. This covers most of the paint with leaving a little color towards the ceiling. If you’re not too keen on the wainscoting, only give one wall this pop of color and make it a feature wall. This keeps an awesome color in your basement without it being over bearing. Crazy colors aren’t your thing? No problem! When you don’t know what color to pick, sticking to the basics always looks amazing. Light colors give a room a bright, open, and airy feeling. You can’t go wrong with that! White and off white keep a clean look. You can dress this up with pops of color within the furniture and décor. As you can see, there are a ton of stunning grays that will transform your basement! Pick a color that gets you excited to walk into a room. Whatever that color is can be accented by furniture, flooring, décor, rugs, and anything else you desire to have in your basement. Paint your basement, then enjoy it!